Always practice or workout in cotton, it's the most breathable! We recommend Edun organic cotton t-shirts. Edun was founded by Bono and his wife and is a socially conscious clothing company committed to sustainable employment in developing areas of the world. They are also committed to using organic materials and paying fair labour wages. If you're inspired by their vision, values and ethics then please support such a progressive and mindful company. In the gym when you're training your muscles, you are opening your pores and skin. You don't want to walk outside and cool down too fast. You want to stay warm as long as you can. 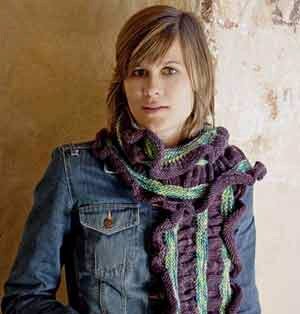 Wrap a scarf around your neck and tuck it under your chin. It is a very popular thing in exercise culture now to wear scarves despite the warm temperatures. Try any scarf made of wool, cashmere or organic fibres like bamboo. Because of the way they are designed to keep you off balance, Physiological Shoes helps to focus on your core, lower back, hamstrings and glutes (and all the muscles inbetween). You're forced to keep your balance and naturally your core muscles will kick in. It doesn't replace a personal trainer or an hour at the gym but it is a respectable workout for your lower body and core muscles. 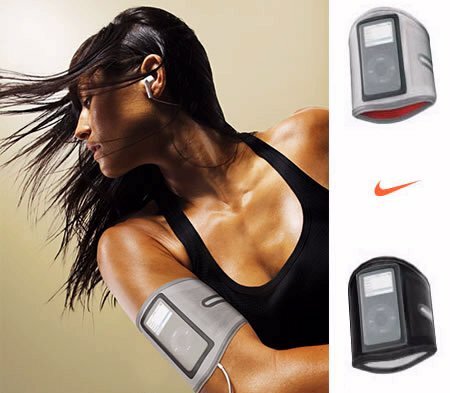 The Nike + System is basically a microchip you place in the running shoe which monitors the distance you move. It sends a wireless signal to your iPod Nano via a receiver. It's a great motivational tool. Not only can you listen to music, it tells you how fast you're going — you can select a male or female voice – it tells how many calories you're burning, measures the distance and how many miles you're going per minute. Download it on the Nike + website to keep a record and keep track of your goals. You can usually ask to try it out in the store before deciding to buy. Stay hydrated. It helps burn fat. If you're low on H2O it gets harder and harder to burn the fat off. Aim for an easy to spot stainless steel water bottle. Research is now showing that plastic water bottles leach toxins in the water. 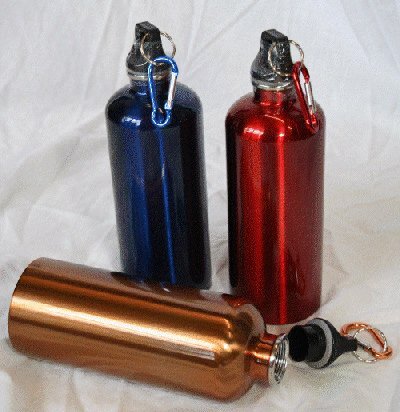 Eco-friendly stainless steel ones from Klean Kanteen also come in baby sizes that you can put a sippy lid on. Find an easy to use watch that has lots of features. An alarm (to remind you to go to the gym), a stopwatch. Some watches can also measure your heart rate which is great when you're starting out because knowing your heart rate can prevent injuries (you have to be careful not to overdo it). They can also calculate how many calories you are burning. For some people seeing numbers helps them to know they are reaching their goals. Traditional cycling shorts tend not to look flattering on women (it makes you look like a sausage). 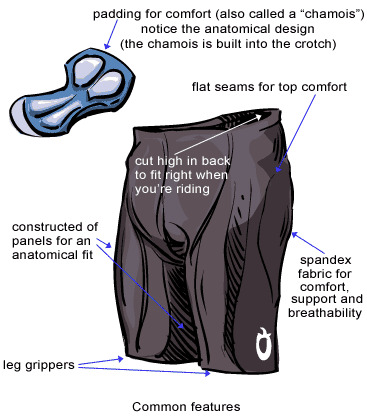 Find one that is chamois and isn't diaper padded (most women complain of saddle-soreness from the padding). You want something that isn't bulky and won't chafe constantly as you can wear it without underwear. Get a fabric that breathes easily so it takes away the moisture from constant sweat. Shebeest seems to be the best company for all the above.